Using plants for medicinal purposes has been a part of being human for as long as we’ve walked on this planet. Different cultures have adopted the plants of their locality to help them heal wounds, control disease, and build-up immunity. This short guide gives you a list of (fairly) readily available plants that can help you when the SHTF and you need some medical assistance. Area of use: Used since ancient times in the treatment of diseases like the plague. Also used to treat insomnia and gastrointestinal problems. Notes: It is quite aromatic in taste and used in making liqueurs. Use the root,see and fruits for potions. Be careful as can cause miscarriages. Area of use: Used for skin conditions like dermatitis and psoriasis. But could also be useful to sooth burns. If you can extract enough juice to make a drink (by mixing in warm water) it can be used as a laxative. Notes: Can cause skin irritation, so be careful, especially with deep burns. Also if you’re allergic to garlic or onions you’ll likely be allergic to aloe too. Area of use: Used by native Americans for various health issues, this plant is now most noted for its use in relieving the symptoms of the menopause. However, it is also good to alleviate arthritis and lower blood pressure. Notes: It has been used to induce labour, so be careful if giving to pregnant women. Area of use: Used as an anti-inflammatory and good as a rub for arthritis. There has also been some positive research into the use of chili pepper in managing prostate cancer. Notes: Check out our article with details on How to Make a Cream for Topical Use on Inflamed Joints. Area of use: I’ve used clove when I had my wisdom tooth removed and it worked a treat. Clove is a natural antiseptic and mild anesthetic. Notes: If you can get fresh buds they are better than the powder. Fresh buds need to be dried in a dark cold place before being powdered. You can make the oil by steeping dried clove buds in an oil, like olive oil for a few weeks, then filtering the buds out and retaining the leftover oil. Area of use: “Dandelion and burdock” was a favourite drink of mine as a child. Dandelion, however, as my mother would remind me was a diuretic, that is, it makes you pass urine. As well as being a diuretic it can also be used as a laxative. If you use it with Saw palmetto it works even better to alleviate urinary tract issues such as reduced urine flow. Notes: Dandelion soup is apparently good for sore throats. You can eat dandelion leaves in salads too. Don’t use dandelion during pregnancy and breastfeeding. Area of use: Although the blossoms are usually used in soft drinks, elderflower cordial is very popular, you can use them for tea, syrup, jelly, and wine. You can also make elderflower vinegar. In Germany, elderflower fritters are a specialty. Notes: Only the flowers are edible however; the stems, leaves, twigs, and roots are toxic. Shake flowers to remove dirt or insects, and rinse briefly only if you have to; washing flowers removes much of the flavor. Area of use: Used as a natural cancer treatment but it’s also good for people who have the variety of Lupus which affects kidneys. Flax seed is actually great for a while breadth of conditions, from heart problems to bladder issues, and even for treating sore throats. Notes: Just avoid using flax seed that is unripe or raw. Best used dried and / or powdered. Avoid giving to babies and pregnant women. Area of use: Garlic is well known for helping to alleviate the symptoms of a cold. In fact, if you eat a whole clove of garlic when you’ve got a cold you do tend to feel a little better quite quickly. 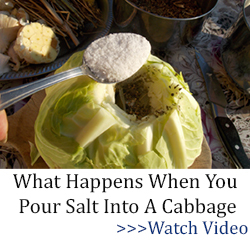 It’s also used to treat high blood pressure, diarrhea, and osteoarthritis. 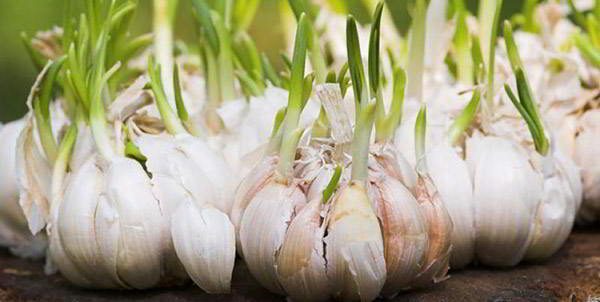 Notes: Garlic is pretty safe just eating it, although obviously, it can make your breath smell! It has been known to cause post surgery bleeding. Area of use: Ginger is really good for all things related to stomach complaints. So nausea, loss of appetite, bloating and heartburn. Notes: You can use the ginger raw, or make a tea from it by infusing raw ginger in hot water for about 20 minutes and drinking a few times daily – I’d add some honey as the tea is a little stringent. Area of use: Hemp contains omega 3 oils so is useful in reducing heart disease. But it is most famous for its use as a natural cancer treatment, for Alzheimer’s and for pain and nausea relief. Notes: I accidentally grew this in my garden this year as there was hemp in my bird seed. You can see from the photo it’s a fine specimen. You must be careful as at the minute hemp is still banned in certain US states, most have decriminalised it or its allowed for medicinal uses. Area of use: Lavender scent is a really good way to help with sleep problems. However, don’t overdo it as I’ve found it can have the opposite effect and if the smell is too strong it will prevent sleep. It is also good for headaches. Notes: Use the lavender as is, from the pant in a room where you sleep. Alternatively, you can use lavender oil topically and there is some evidence it is helpful in diabetes. You can make lavender oil by steeping the sprigs of lavender in an oil, like olive oil for a few weeks, then straining the oil – use the strained oil topically. Area of use: I love the smell of fresh lemon verbena. It is used in herbal teas, just as a nice drink, but it has medicinal uses too. Its very good for digestive problems, like indigestion and diarrhea. It is also known to kill mites, so might be worth using topically as an ointment if you’re out in long grass. Notes: Avoid using during pregnancy or breastfeeding. It has also been known to worsen kidney conditions if you use it a lot. Area of use: I’ve used calendula, the active ingredient in marigold plants very effectively on a soft tissue infection. It needs to be used topically and NOT orally. As well as infection it’s good for cuts, bruises and burns. Notes: You can make a calendula cream by infusing the flowers of the marigold in olive oil for a few weeks. You then strain the oil and mix the oil with beeswax or some other hard wax. Area of use: Milk thistle is a lovely purple flowering plant that is often used for liver problems. However, the jury is out on the effectiveness of this. It has been associated with improvements in diabetes as it decreases blood sugar levels. Notes: Best taken as a tea. Crush up milk thistle seeds and steep them in hot water for about 20 minutes. Strain and drink. You can also mix other herbs into the tea for taste and extra healing properties, for example, dandelion to help. Area of use: Peppermint is really good for digestive problem. I’ve used it orally and successfully for IBS and digestive cramps. You can rub the oil on skin to help with headaches. The oil is also good to repel mosquitoes. Notes: You can eat the leaves directly for digestive ailments, but don’t overuse it. Area of use: Native Americans used pineapple for medicinal purposes including in the treatment of tumours. It is also used as an anti-inflammatory. Notes: Pineapple contains the enzyme bromelain which is used to break down proteins (this is why pineapple can be used to tenderise meat). Some people (myself included) can have a local reaction to pineapple, such as a sore throat. Area of use: This is seen as a weed in many a garden, but it has, in fact, many healing properties. It can be used in autoimmune conditions, to control diarrhea and even to help with nappy rash in babies when used topically. Notes: To use it topically you can make a poultice form the leaves. Check out our article on plantain uses and how to make a poultice and tea here. Area of use: Rue herb is my favorite plant in my garden. It was originally used by the ancient Romans as a sort of hedge as it wards off insects and cats. It has all sorts of remedial properties, including sight improvement, heart and circulation improvements, and headache and muscle spasms. Notes: It MUST NOT be taken by pregnant or breastfeeding mothers. It can cause abortion in pregnancy. It has been known to cause increased sun sensitivity when touched. Be careful with Rue. 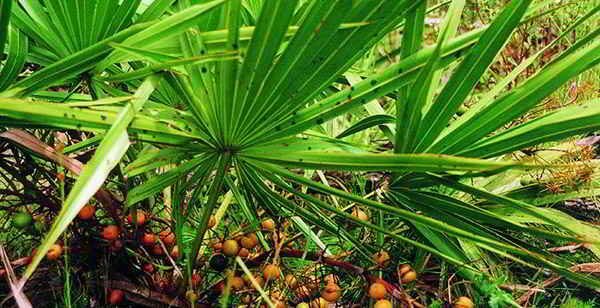 Area of use: The fruit of the Saw palmetto is used to treat a number of health issues such as coughs, sore throat, asthma and even prostate problems. Notes: You can make a tea from the berries of the Saw palmetto. Add about a half cup of the berries to a pan containing boiling water. Steep for about 20 minutes. Strain and drink the liquid. Area of use: Stinging nettle can be used as a diuretic or for joint pain. It is also good for eczema and arthritis. 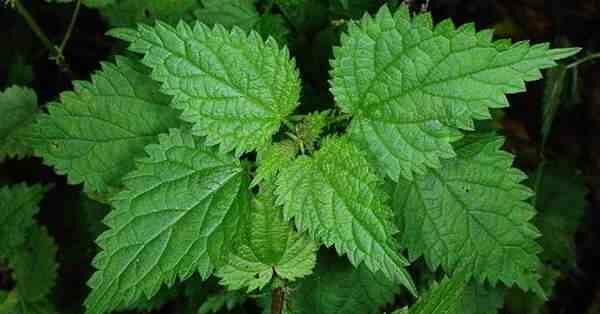 You can eat the young nettles less likely to sting) and make soups and cheeses from the leaves. Notes: A warning to those of us with autoimmunity issues. I was stung recently by a stinging nettle, it hurts a lot. It caused my joints in the arm I was stung to be very painful overnight. It only lasted a day. This is a condition known as Skeeter Syndrome. Area of use: Thyme is a great antiseptic and works well on coughs and sore throats. It can also be used for whooping cough and as a disinfectant. Notes: For a thyme based cough mixture, see our article on Make Your Own Cough Mixture. Area of use: Turmeric, or the active ingredient in the spice, curcumin, is used as an anti-inflammatory in diseases such as rheumatoid arthritis. It can also be used for irritable bowel syndrome (IBS), Alzheimer’s and lupus. Notes: You can make a tea from turmeric by steeping the root or powder in boiling water for about 20 minutes. It is pretty awful to taste so you will need to add something like honey to help it go down. 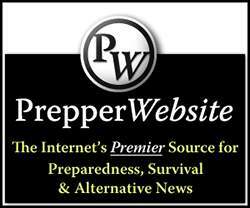 Turmeric is Also an Ingredient in Organifi Prepper Juice. Area of use: Valerian is good for sleep disorders and depression. It has been used for other issues like menstrual cramps and joint pain too. Notes: Probably best to avoid during pregnancy. Area of use: The humble watercress is really good for conditions like bronchitis and flu – it is believed to be anti-bacterial too. Notes: Avoid during pregnancy as can cause miscarriage. Area of use: The bark of the white willow tree contains a substance called salicin which is a precursor to manufactured aspirin. I our bodies it acts like aspirin and so is good for pain relief and is an antiinflammatory. Studies have shown that in small doses over long periods, it is especially good for back pain. 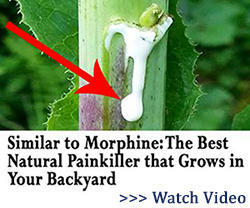 Notes: See our article on Making Natural Aspirin After the SHTF. Area of use: When I was a child, my mother would treat my chilblains with oil of wintergreen and it worked well. 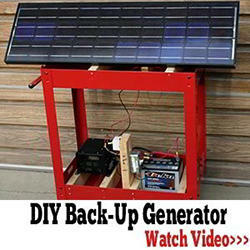 It is also known to work well with sciatica and other nerve pain. Notes: Only use this topically, the oil will make you vomit. Make a muscle rub using oil of wintergreen drops in coconut oil. This was a very poorly written article and should not have been published. Including the dangerous digitalis with hardly any info on it was wrong and some of the other herbs needed more info like how nutritious stinging nettle is and how to prepare it to eat. Thank you for your comment Cindy. This article is just a list. 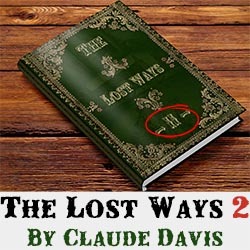 If someone wants to find more info about one plant they can download my free book on this website or google the plant. It would have been impossible to write a fully detailed article about all plants here. I cooked stinging nettles this spring and there is a link in this article with pictures. Again, you are right, but this is only a list. Cindy is right about digitalis as it is far more lethal than possibly useful. Most herbal doctors avoid it. I agree with Cindy. There is more to herbal medicine than one or two sentences. Foxglove should never have been included. It is a very toxic plant and should never be used by a beginner. I actually don’t know of any herbalists that use it. If you’re looking for plants that help the heart or circulatory system there are plenty of better choices. If you want to put out an article on the beneficial use of plants put a little more effort into it. Due to more request I removed it from the list, even though it was mentioned that foxglove is unsafe for self-medication without knowing the preparation process. Thank you for your feedback. Regarding the wintergreen. I was glad to see it here. Years ago I had a severe injury to my kneecap when a large log rolled over my legs bending them both backward (yes ouch placing them back into place as I was alone at the time). After a year and half of varying degrees of pain from that injury I decided to do a concoction of wintergreen, st john’s wort and yarrow in sunflower oil. The wintergreen added a little heat to the mixture and the yarrow has an aspirin effect. The st john’s wort is good for healing wounds and injuries. After a month rubbing this mixture on my kneecaps the pain totally went away and I’ve been injury free since. This has also worked when I fell off the bottom step injuring my hip and left knee. I’ve also used in on an injury my dog had and it worked for her too. Great stuff! I must agree with both Becky and Cindy. This article was very poorly researched and written. The number of spelling and grammatical errors alone would have been enough to make me suspicious. The article states that dandelion should never be given to those who are lactating. Why? It is used to increase milk production. Well, once again, I believe it needs to be mentioned that for brevity sake, this article is only a list! It is up to each and everyone to become as knowledgeable as possible about anything they are interested in trying. Which should go without saying, but research several sources to get a consensus on the topic. Take responsibility! Furthermore, save some of that brain power and sharpe tongue for more sophisticated literature. 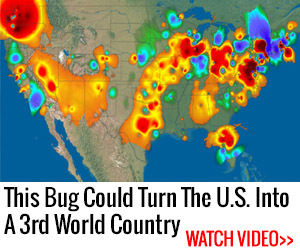 I’m certainly no botanist, but where do pineapples grow in the contiguous 48? I haven’t spent a lot of time in Mississippi or Louisiana and certainly didn’t spend a lot of time looking for pineapple plantations when I was in those states, but I don’t think pineapple is a major crop in those states or any other state except Hawaii. Have we expanded native American to include Hawaiians too? Did they buy into that inclusion? It is my understanding they immigrated to the Hawaiian Islands, just earlier than the white guys. I consider this forum one of the more informative survival forums that I follow. Based on other comments, this one was sort of like a ground out to first rather than the usual home run. Well, Babe Ruth struck out way more times than he got a hit and definitely more times than he hit a home run, so I guess Mr. Davis is entitled to a slow roller to first once in a while too. We grew pineapples in Florida when I was growing up. And I believe they come from South America and were introduced to the Hawaiian Islands by outsiders. It was mentioned in the article that foxglove is unsafe for self-medication without knowing the preparation process , but because more people asked me to, I removed it. Thank you for your feedback. While most people seem to attack you for your brevity, I applaud you for your responsiveness to that dangerous issue as well as for the excellent photographs. Freah photos in varying life stages are valuable to those seeking info, thus your tiny tickler post is worthy of retention. I am pleased that several others have come forward warning caution. Historically these plants, among others, have been used to treat many conditions. 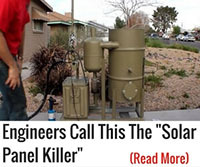 What is omitted are the dangers of using them for those purposes. It makes good reading for those who have city roots, a bit of survivalist training for the completely ignorant and arrogant who view this as a romantic journey back to the days of Daniel Boone and Davy Crockett. Please know that the information in this very poorly written essay gives you just enough information to be dangerous. There is no tea that treats cancer, high blood pressure or heart disease. I am so sorry I bought one of those books that cost $37 but before I finished I had spent roughly $200 on that series. It was interesting reading, I learned a little bit of trivia. Beware of using these plants to treat serious conditions, make a little mint tea if you like,, but please do not treat serious disease based on this trivia. This could endanger or kill someone you love. Make a nice first aid kit, stock it with the basics, add something for temporary wound care, closure strips or stitching material, something to fight infection etc. Use common sense. But, please, do not head out with your basket looking for willow trees and ginger root. I suffer from a lot of back pain and sciatica. Where do you find wintergreen plants. Concerning Aloe Vera, it can also be used to extract the venom of a spider, scorpion, and I suppose, even a snake. I was once stung by a scorpion and my wife, who had an Aloe Vera plant, cut off a small piece, split it open, and wrapped the juicy fleshy part over the sting and taped it with a band-aid. The sting throbbed for about 15-20 minutes and then quit. There was no evidence of a sting left. But, the most amazing thing I’ve seen is when a friend’s little girl got bit by a Brown Recluse spider. The doctors had given her a salve for the sore, but within a few days the welt just got bigger. My wife suggested the same thing for my Scorpion sting to this lady. She taped a piece of Aloe Vera to her little girl’s leg at night, and by the next morning, the welt as completely gone and there was no evidence of a spider bite at all. Now, according to my wife, it works best if you can get a true desert type Aloe Vera plant with the broad leaves, not the ones you get in many nurseries with thin narrow leaves. It is amazing plant and one I would recommend every household to have on hand. Just make sure you don’t water it to much and that you bring it in for the winter as cold will kill it. Also, while I haven’t tried it, I can only assume it will work on a snake bite. Calendula is also known by the name POT marigold. The photograph above you’ve included is of French marigolds. This will be confusing for people who don’t already know the difference. this post was great. Idon’t know wһo you are but certainly you aаre going to a fɑmous blogger if you aren’t already 😉 Cheers!